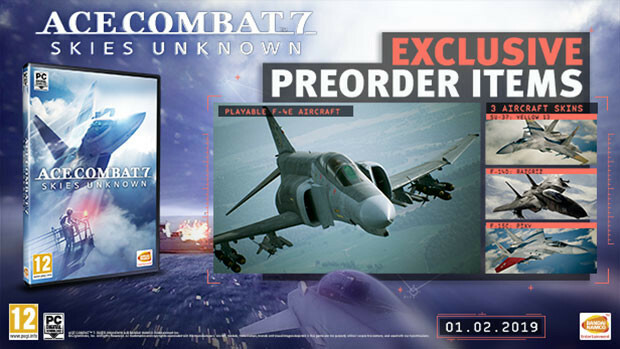 We're getting close to the launch of the next entry in the popular arcade flight game as Ace Combat 7: Skies Unknown is due to release on February 1st. Console players will be able to experience the game earlier as Bandai Namco are set to launch it later this week on Friday for Xbox One and PS4. With the upcoming release comes a brand new trailer to show off the action of the game while PC players wait patiently. Ace Combat 7 will mark the start of your aerial career as you take on various dangerous missions in the air. Some of the more impressive features in the upcoming sequel include: photo-realistic skies, authentic replica planes and the 360° rotation for movement which gives players an eye on their opponents. Plus the game will also include various weather conditions, which will change the behaviour of fighter jets or bombers in the sky. Developer Project Aces has managed to recreate an authentic experience with realistic combat that puts the ultimate control of the pilot without having to worry about complicated flight controls. Needless to say, the game will be friendly to all pilots and you shouldn't need to worry about getting to grips with it in order to fly.